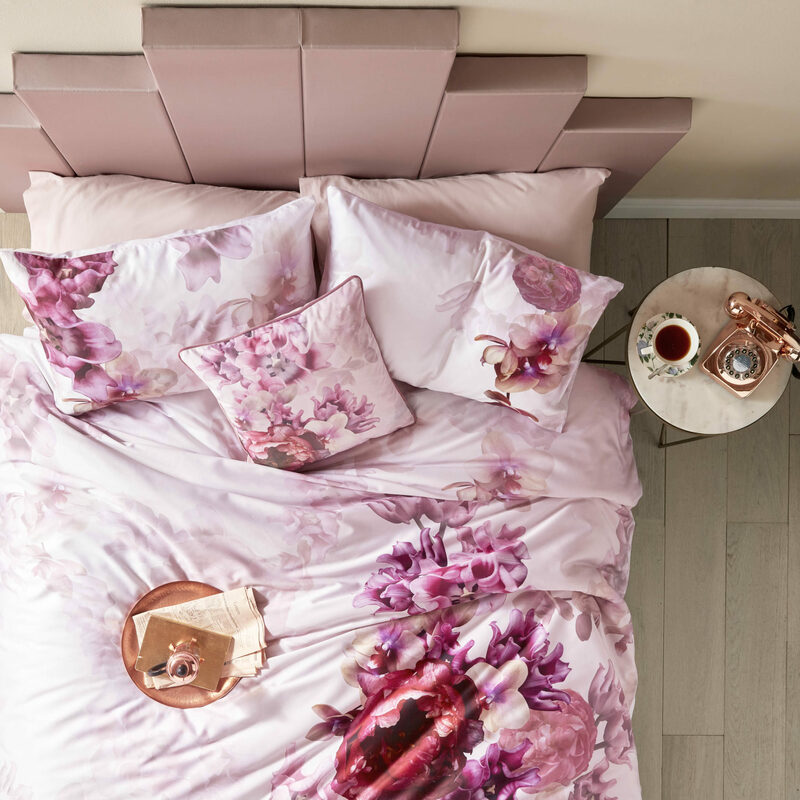 Dream of fantasy gardens with Ted’s stunning Splendour bedlinen. 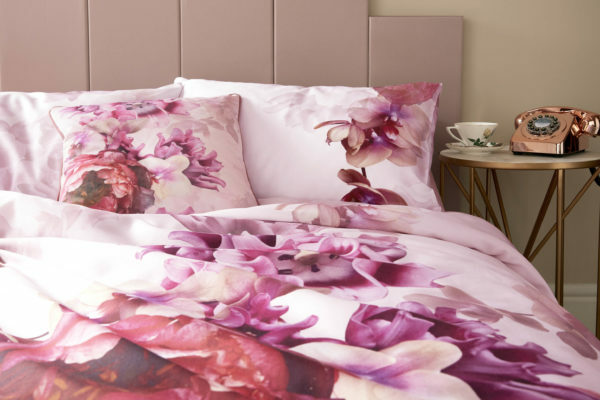 Gorgeous blooms in soft pinks, corals and purples cover this soft sateen bedlinen. 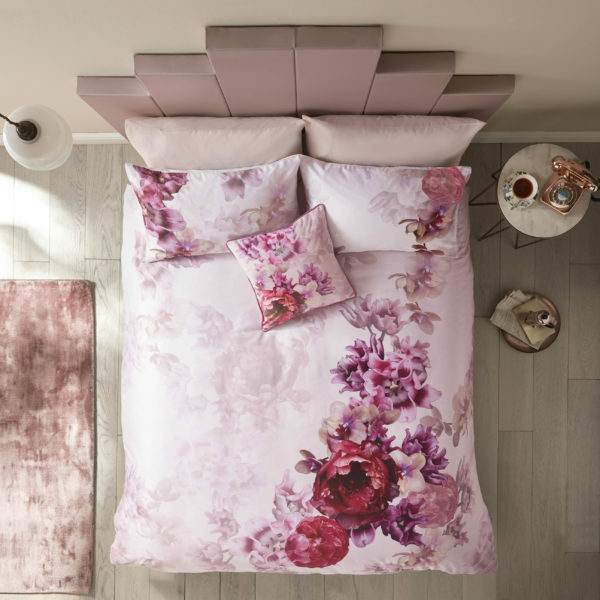 Complete the look with the super-soft matte velvet cushion featuring contrast piping.